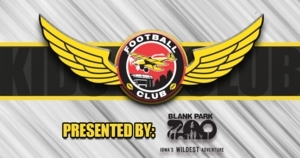 DES MOINES - The Iowa Barnstormers are pleased to announce the launch of their Official Kids Club for the 2019 season. The Iowa Barnstormers Kids Club features several member perks and provides a great opportunity for the youth of Iowa to interact with their favorite sports team. Blank Park Zoo is returning as a proud sponsor of the Kids Club. The Iowa Barnstormers Kids Club is open to kids ages 2-14. Membership costs $35.00 per child and includes an official membership card, a gift from the Barnstormers, one (1) free ticket to any 2019 Barnstormers home game, an autographed player photo, and an invitation to members only Kids Club parties during the season. Kids Club members will also be entered into monthly prize drawings throughout the regular season featuring event tickets, Barnstormers prizes, and more. The Barnstormers offer a discounted membership rate for Season Ticket Holders and their immediate family members. Registration is available now, for more information call (515) 633-2255. Kids Club membership packets will be available for pick up at the Iowa Barnstormers next home game on Saturday, April 6 at Wells Fargo Arena. Members can stop by the Iowa Barnstormers Customer Service Booth for pickup. Season Tickets are still available for the 2019 season. Lock in the same great seat at all remaining Barnstormers home games and don't miss a minute of the actin! For more information, call the Barnstormers at (515) 633-2255 or log on to www.theiowabarnstormers.com.